The story of Egyptian horror and science fiction writer Ahmed Khaled Tawfik is easily told through the stories of his audience, most of whom grew up in the 1990s and the early 2000s. It is the story of those who regularly slipped his books into their school bags and read them secretly when their teacher was not paying attention, or from behind a school book they pretended to read while they enjoyed the adventures of the 60-year-old Refaat Ismail, Tawfik's most famous character. It is the story of those who saved their tiny allowance every day to buy their next book from his successful series Ma Wara' Al-Tabi'a (Metaphysics), which was sold at an affordable price. It is the also the story of thousands of young people who are mourning the shocking and sudden death of their beloved writer, who left without a warning, as well as those who met him and those who only knew him through his words. Tawfik, who departed our world on 2 April at 55 after suffering a heart attack at a Cairo hospital, left more than just his books, he left a generation of young readers, whose ages now range between the twenties and the late thirties. These fans might not have read a book in their lives if it were not for Tawfik, who attracted them and showed them a whole new world, not only through his entertaining and educated writing, but also the novel genre of literature that he loved and insisted on pursuing despite initial rejection. This was horror, fantasy and science fiction, which captured the imagination of every school kid from the mid 90s to this day. Born in 1962 in Tanta, Tawfik graduated from the faculty of medicine and became a doctor specialised in tropical medicine, before he decided to turn to writing. He submitted his first horror book draft in 1992, Masas Al-Demaa w Ostorat alragol El Ze’b (The Vampire and the Legend of the Wolf Man), to a Cairo publishing house named The Modern Arab Association, which targeted teen audiences with pocket novels, such as the hit action series Ragol El-Mostaheel (The Man of the Impossible) by Nabil Farouk. The initial draft was rejected by a committee formed by the publisher, and Tawfik was told to stick to more established genres, such as police fiction, action and military style novels. However, Tawfik insisted on pursuing his passion until a new committee was formed and approved the draft, which saw the light of day later that year. The book became the first in one of the most popular pocket book series in Egypt; Ma Wara' Al-Tabi'a. As his audience grew up, Tawfik kept up with them, moving into new forms of writing, transitioning from short pocket novels and illustrated stories to longer and more complicated books, such as Utopia (2008). With the internet, social media, the opening of bookstore chains, and the new tradition of book signing events in the early 2000s, his readers got to know the man whose small picture adorned the back of every pocket book. This was the writer who told them the exotic stories and adventures of the old man Refaat Ismail, who many of us thought of as Tawfik himself, back in the 90s when he was not on TV or social media. This was a time when getting to meet the author was a far-fetched idea. As the audience got to know him in the flesh, they discovered his very humble personality; not only was he willing to talk to anyone and get to know and participate in any event for his readers, but he also welcomed even the harshest criticism of his work from those who snubbed him and his genre. 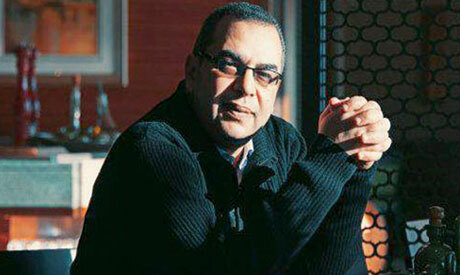 Tawfik showed many people how to read, and affected the conscience of a generation. His impact is a phenomenon worthy of study.